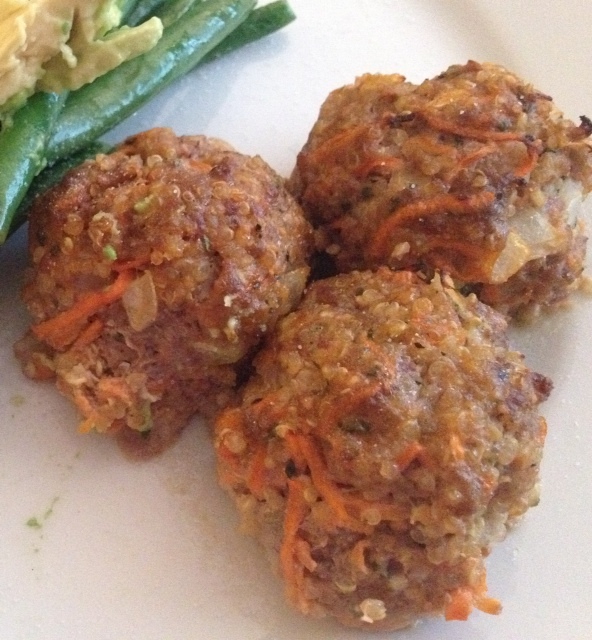 Whole Foods’ Beef & Quinoa Meatballs. I recently started eating gluten free/dairy free and this was one of the first dishes I made. This is a Whole Foods’ recipe, which I tweaked just a bit to my liking and to make it gluten free, but otherwise I followed the directions on the recipe. I ate them with some steamed green beans and avocado, which was a delicious combination, but you could also eat them with pasta, rice or any other veggie. 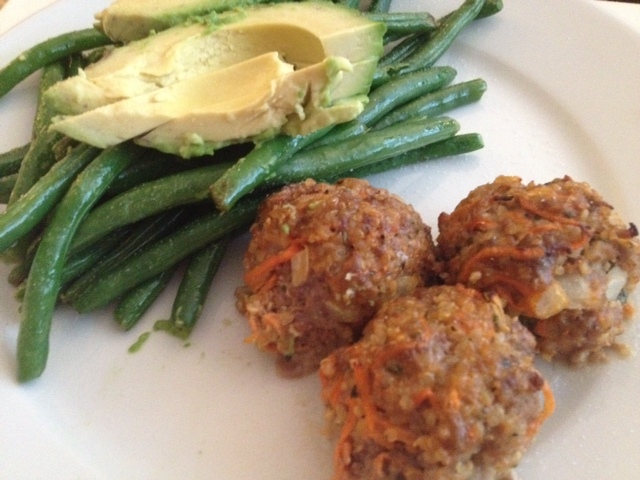 These meatballs are amazing and will definitely be one of my new regular dishes! ← Creamy Crunchy Brussels Sprouts Salad. I am OBSESSED with quinoa…see my blog for more details, lol. I would love for you to come by and link this or another recipe at my link party!! http://domesticsuperhero.com/2013/05/02/sharing-with-domestic-superhero-link-party-9/ Hope to see you!